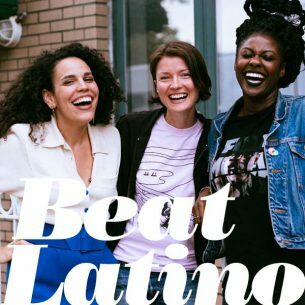 Beat Latino with Catalina Maria Johnson » New Year, New Music! It’s time to celebrate the first batch of music that we discovered in 2018 (or late 2017 :)! Beat Latino has a wonderful selection from tropical futurism from Colombo-neoyorquinos (Combo Chimbita) to indie folk tinged by Nicaragua (Elena & los Fulanos) to reggae via Spain (Fyahboy) and punk psychedelic rock from Arizona (The Myrrors) to remakes of classic resistance pieces (Kansas City, Missouri’s Making Movies), to rock en español from Uruguay (Sante Les Amis) to a beautiful new collaboration by Xenia Rubinos, Olga Bell and Sammus (featured photo) Latinx music for this new year and into the future is looking marvelous! Feature photo: Xenia Rubinos, Olga Bell, Sammus.